Go for a jaunt from Sydney to Katoomba to see Wentworth Falls about 1h 35 min away. Spend the 19th (Fri) exploring nature at Sydney Harbour National Park. 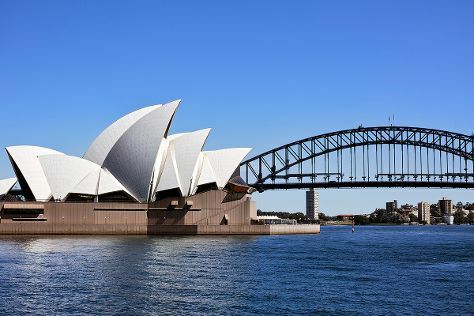 Next up on the itinerary: see a show at Sydney Opera House, meet the residents at Sea Life Sydney Aquarium, take in nature's colorful creations at The Royal Botanic Garden, and take in the views from Sydney Harbour Bridge. To find where to stay, photos, other places to visit, and more tourist information, read Sydney trip maker app . The Route module shows you travel options from your home to Sydney. In April in Sydney, expect temperatures between 26°C during the day and 17°C at night. Wrap up your sightseeing on the 20th (Sat) to allow time to travel to Uluru-Kata Tjuta National Park. Uluru-Kata Tjuta National Park is known for nature, museums, outdoors, trails, and classes. Your plan includes some of its best attractions: take in the dramatic natural features at Uluru, trek along Kuniya Walk, get outside with Walpa Gorge, and view the masterpieces at Walkatjara Art. 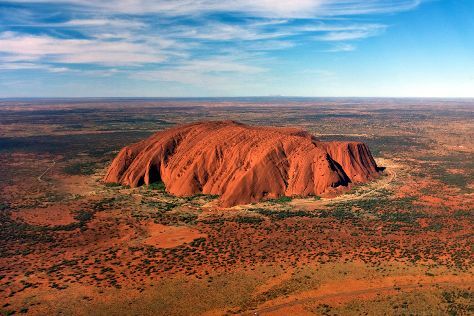 Plan my trip to Uluru-Kata Tjuta National Park with suggested itineraries provided by Inspirock. You can fly from Sydney to Uluru-Kata Tjuta National Park in 5.5 hours. Alternatively, you can drive. When traveling from Sydney in April, plan for somewhat warmer days in Uluru-Kata Tjuta National Park, with highs around 34°C, while nights are about the same with lows around 17°C. Finish up your sightseeing early on the 23rd (Tue) so you can travel to Port Douglas. Spend the 24th (Wed) among aquatic life with a scuba or snorkeling tour. Spend the 26th (Fri) spotting exotic species with a safari tour. There's lots more to do: relax in the rural setting at Hartley's Crocodile Adventures, look for gifts at Coffee Works, explore the gorgeous colors at Opal Reef, and meet the residents at Wildlife Habitat Port Douglas. To find more things to do, reviews, other places to visit, and tourist information, read our Port Douglas holiday planner. You can do a combination of flight and shuttle from Uluru-Kata Tjuta National Park to Port Douglas in 6 hours. Another option is to drive. Traveling from Uluru-Kata Tjuta National Park in April, plan for a bit warmer nights in Port Douglas, with lows around 25°C. Cap off your sightseeing on the 27th (Sat) early enough to go by car to Cairns. Spend the 28th (Sun) among aquatic life with a scuba or snorkeling tour. Spend the 30th (Tue) wandering through the wild on a nature and wildlife tour. And it doesn't end there: trek along Esplanade Boardwalk, admire the natural beauty at Botanical Gardens, take in the architecture and atmosphere at St Monica's Cathedral, and enjoy the sand and surf at Yorkeys Knob Beach. To see photos and other tourist information, you can read our Cairns travel planning tool . You can drive from Port Douglas to Cairns in 1.5 hours. Other options are to take a bus; or take a shuttle. Expect a daytime high around 34°C in April, and nighttime lows around 26°C. Wrap up your sightseeing on the 1st (Wed) early enough to travel to Townsville. Tucked snugly beneath a steep, craggy mount--known as Castle Hill--the vibrant city of Townsville is as picturesque as its backdrop. Kick off your visit on the 2nd (Thu): discover the deep blue sea with a scuba or snorkeling tour and then tour the pleasant surroundings at Castle Hill. Get ready for a full day of sightseeing on the 3rd (Fri): step off the mainland to explore Museum of Tropical Queensland, then tour the pleasant surroundings at The Strand, and then admire the natural beauty at Queens Gardens Townsville. To find more things to do, maps, reviews, and other tourist information, you can read our Townsville trip builder site . Fly from Cairns to Townsville in 3.5 hours. Alternatively, you can drive; or take a bus. In May, plan for daily highs up to 32°C, and evening lows to 21°C. Finish your sightseeing early on the 3rd (Fri) to allow enough time to take a bus to Airlie Beach. Spend the 4th (Sat) among aquatic life with a scuba or snorkeling tour. On the 5th (Sun), spend a thrilling day on the water with a speed boat tour. And it doesn't end there: get some thrills out on the water with a waterskiing or jet-skiing adventure, step off the mainland to explore Whitsunday Islands, and stroll through Airlie Beach Lagoon. To find maps, reviews, where to stay, and other tourist information, you can read our Airlie Beach day trip tool . Traveling by bus from Townsville to Airlie Beach takes 4 hours. Alternatively, you can drive; or do a combination of train and bus. When traveling from Townsville in May, plan for little chillier days in Airlie Beach, with highs around 28°C, while nights are about the same with lows around 24°C. 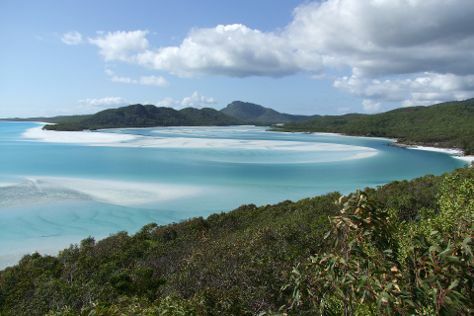 Finish your sightseeing early on the 6th (Mon) to allow enough time to ride a ferry to Whitsunday Island. Start off your visit on the 7th (Tue): explore the activities along Hill Inlet and then enjoy the sand and surf at Whitehaven Beach. To find other places to visit, more things to do, photos, and other tourist information, read our Whitsunday Island online holiday maker . Getting from Airlie Beach to Whitsunday Island by ferry takes about 1.5 hours. Traveling from Airlie Beach in May, expect little chillier with lows of 19°C in Whitsunday Island. 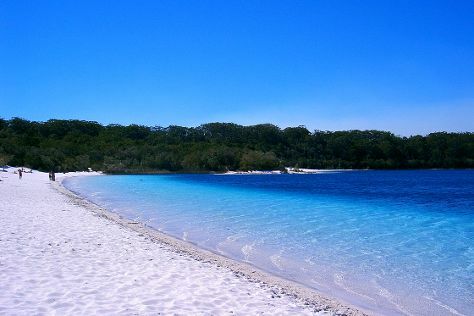 Wrap up your sightseeing on the 7th (Tue) early enough to travel to Fraser Island. Fraser Island is known for nature, beaches, outdoors, historic sites, and spas. Your plan includes some of its best attractions: contemplate the waterfront views at Lake McKenzie, kick back and relax at Indian Head, and tour the pleasant surroundings at Eli Creek. To find other places to visit, maps, reviews, and other tourist information, read our Fraser Island online trip itinerary maker . Traveling by combination of flight, ferry, and car from Whitsunday Island to Fraser Island takes 9 hours. Alternatively, you can do a combination of train, car, and ferry; or do a combination of bus, ferry, and car. Wrap up your sightseeing by early afternoon on the 12th (Sun) to allow time for travel back home.